Each personal injury claim is unique. Determining the value of your claim is one of the most important aspects of arguing a personal injury case, but putting a financial value on your injuries is usually challenging and complex. 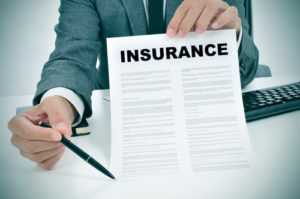 Insurance companies consider a number of factors when determining the value of your claim including medical bills, lost wages, damaged property, emotional damages and whether your injury is permanent or life-changing. Calculating the financial costs of medical bills, damaged property and lost wages is usually straight forward. Placing a value on life-altering injuries that have caused significant emotional distress, however, is much more difficult. Insurance adjusters are skilled at deciding how much financial compensation is appropriate for serious or long-lasting injuries. Adjusters will typically multiply the total amount of medical expenses on a scale from one to five. Next, adjusters add the total amount of lost wages. This final amount is negotiable, and it does not include a financial amount for emotional pain and suffering. Insurance adjusters will change the final compensation amount based on your percentage of fault in the accident. If it is determined that you contributed to the accident, then it’s likely your final compensation amount will be reduced. This final financial amount that insurance adjusters come up with does not have to be the final compensation amount you agree to. When you believe that your personal injury claim is worth more than your insurance company is offering you, then it may be possible to negotiate a higher amount. The attorneys at Blume, Forte, Fried, Zerres and Molinari focus on personal injury cases, and we can help you determine if the compensation amount being offered by your insurance company is fair. Our law firm is prepared to argue for the full financial compensation you deserve. When you are prepared to discuss your claim, contact our office at 973-635-5400.